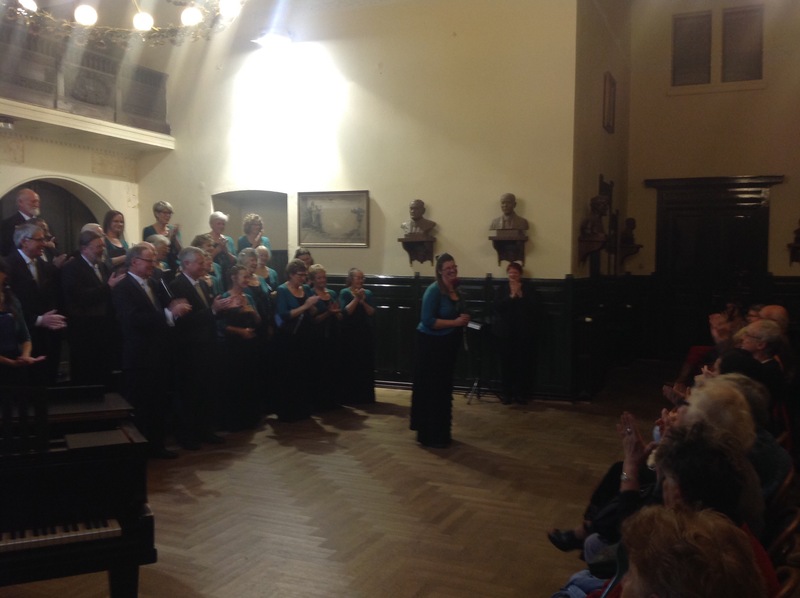 Soloist Sarah Lawes had a sudden thought before singing before a near-capacity audience at Prague’s historic Hlahol Concert Hall.It was part of Sunshine Coast Oriana Choir’s final performance in its Central Europe tour of Hungary, Slovakia, Austria and the Czech Republic. Sarah had chosen Song to the Moon from Russulka, by Czech composer Dvorak. Sarah prepared the song about three years ago and performed it for her diploma of singing at the Australian Music Examination Board. “It was part of the syllabus but my mother had suggested it to me. “I thought, why not. It’s a nice song and has that dramatic ending. The operatic piece is about a water spirit, Sarah tells me. “Every day the prince comes to the lake. She falls in love with him and wants to be turned into human form by a sorceress. “It happens early in opera. “The moon sees into peoples lives. “Oh moon, stand still for a moment. Tell me where is my lover. “Oh moon, stay still for a moment, don’t let him disppear. At the Prague concert Sarah was initially concerned a bit about getting it right. Yet the audience response was totally unexpected. A standing ovation. “I was really elated, swept up in the emotion,” she said. “I was told later that the Czech language in that aria is quite difficult. The Hlahol Concert Hall was constructed and designed by the choir, with acoustics for acapella and for piano. Dvorak was a conductor for the choir which was formed in the 1800s. Many many thanks for all the wonderful posts of your fantastic tour! It was such a delight to share all your experiences. Best regards Jillian Greeves . Enter your email address to follow this blog and receive notifications of new stories, photos and videos of our tour by email.